Tabitha May-Tolub and Karin Firoza are guests on this segment of Monday Night Talk! 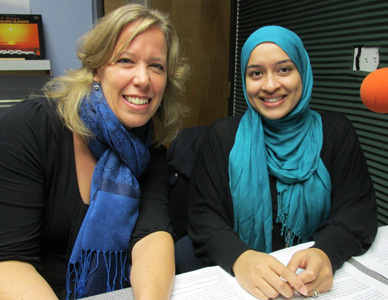 Tabitha and Karin are co-founders of Roots & Wings, which is an organization that provides training and consultation for youth and the adults in the areas of leadership, communication and identity development. To learn more information about Roots & Wings Training and Consultation visit their website www.rootsandwingstraining.com. Do you have an topic for a future show or info on an upcoming community event? Email us at mondaynighttalk@gmail.com or "like" and post a comment on our Facebook page: www.facebook.com/mondaynighttalkon959fmwatd. If you're a fan of the show and enjoy our segments, you can either download your favorite segment from this site or subscribe to our podcasts through iTunes today!